Home → News → Thanks to Library Donors! 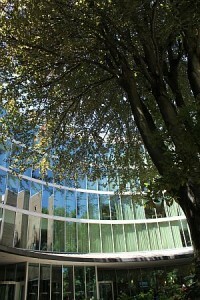 Portland State University Library had another extraordinary year. We were able to do so much because of the generosity of library donors. Students who borrowed an iPad, reserved a study room, took a study break, and researched historical documents in Special Collections & University Archives all benefited from donor generosity. On behalf of the University Library and the thousands of students who rely on the library, we extend our sincere thanks to our many donors. The Donor Honor Roll for July 1, 2014 – June 30, 2015 is now available on the library website. Would you like to support student success and faculty research with a donation to Portland State University Library? Learn more about the different opportunities for giving.